A little background: GM has two lines of hybrid vehicles, large full size truck “Two Mode” systems, which are a little bit like a Prius torque-split bred with an automated manual, with a few extra clutches and planetary sets thrown in for good measure, and the decidedly underwhelming “BAS” belt-alternator-starter mild hybrid/start-stop system. The BAS system was found on the “Green Line” Saturn Vue and Aura, as well as on the Chevrolet Malibu Hybrid, starting in 2007. A new higher powered system has been announced for 2012. The Malibu hybrid did not sell well and was soon made available only to fleet sales. 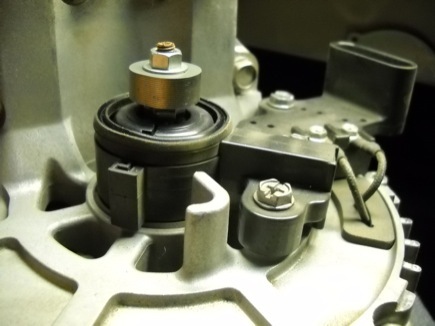 The system uses a motor/generator packaged very similarly to a standard alternator, with a special high-tension 7-rib ribbed V belt drive to the crankshaft. 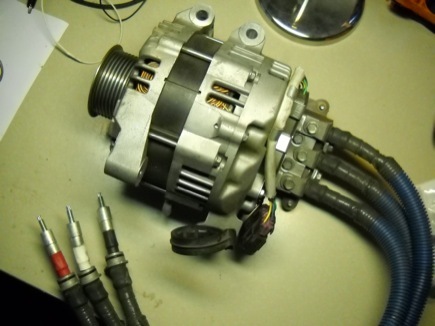 A standard starter motor is used to turn over the engine when cold, once the system is active the a modest amount of regen and assist, as well as start/stop operation is run through the BAS unit. The most reasonable figures I could find for regen/assist capability were 5kw/2kw, respectively. The system runs with a 36V trunk mounted NiMh battery. 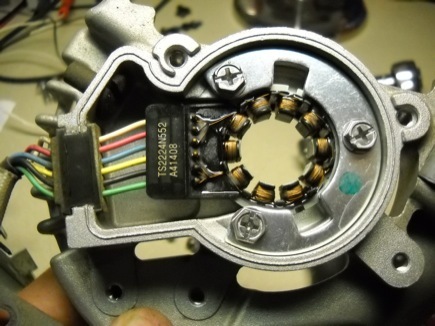 I have been hunting for a BAS Alternator for a while to see if it might be suitable for a installation on an EV, most likely a “big bicycle”- in the 100 lb/45mph range. I finally got an opportunity to snag one in my price range- I immediately went about dis-assembling it to try to determine if it is even worth putting on a bike- Spoiler: it’s got some immediately visible plusses and minuses, but I think it’s worth a try. The BAS Alternator in the flesh. This example is from a 2009 Malibu Hybrid. I purchased it from an auto dismantler. The rear-cover of the unit. Phase wire junction box. 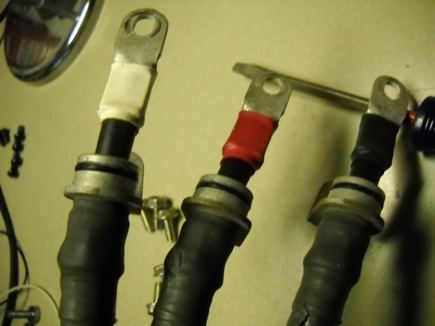 The phase cables appear to be somewhere in the #2-#6 region. The wiring is very nice, all the connections are pretty robustly weather-sealed. 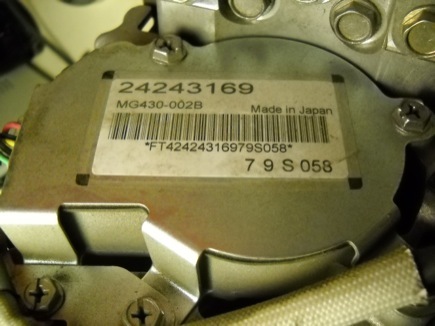 Position encoder, under the rear cover. I would hazard a guess that it’s a type of resolver or sin/cos style sensor, but I am not sure really. 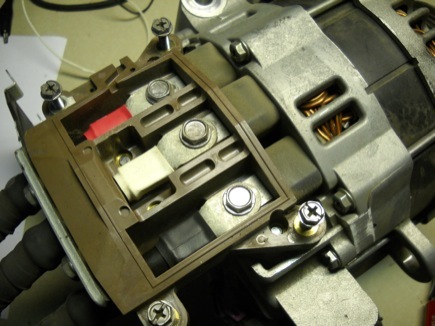 The rear cover plate comes right off the alternator, carrying the sensor with it. Revealing… BRUSHES. Dang! I was really hoping this might be a PM machine. Oh well, all is not necessarily lost. 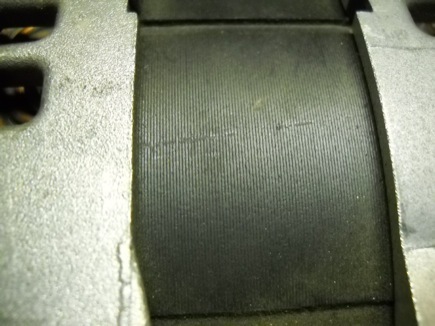 The sep-ex rotor is only one of the several factors that generally make alternators non-optimal motors, hopefully some of the other important factors are indeed better on this BAS alternator. The laminations look really good- nice tall stack of what I guestimated at .3mm thick lams. 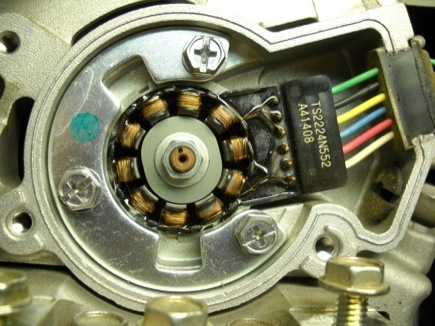 Lams that thin aren’t cheap and may indicate that some cost and effort was made toward making this alternator more efficient than the average, which has lams more around 1mm thick. That’s where my dissection finished- most alternators use the nut on the end of the shaft to retain the pulley- the torque on the pulley is always tending to tighten the nut- since the torque on the BAS alternator goes both ways, for regen and assist they clearly needed a more robust method of attaching the pulley- prompting the use of a tapered bushing, which unfortunately has no jacking screw holes or other obvious way to get it apart. I’m a bit stymied about what to do next. I’ve come up with three general options: Use the 7 rib pulley as is, onto a jackshaft for dual reduction, or direct. Hacking it off with a grinder, then figuring out something to replace it with, whether that be another taper bushing or keyed connection. 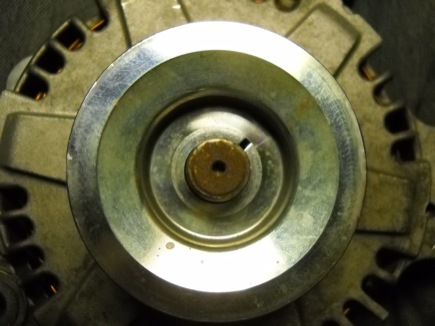 Or, lastly maybe machining the pulley in situ for a flange that I can mount a sprocket on. 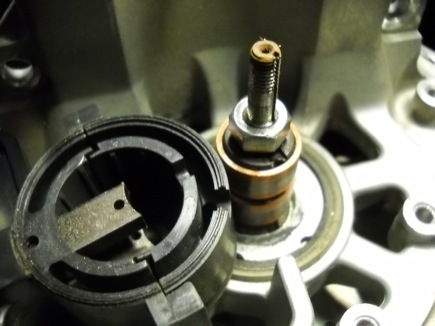 Unfortunately I wasn’t able to get the case split apart with that pulley on there- so I was not able to get a look at the rotor or stator more clearly. So that’s where this investigation lies for now. I have an idea in the back of my mind of building a bike to go around this motor and racing it later in October… but that idea’s far from baked yet. I definitely think the BAS unit has some potential worth exploring.